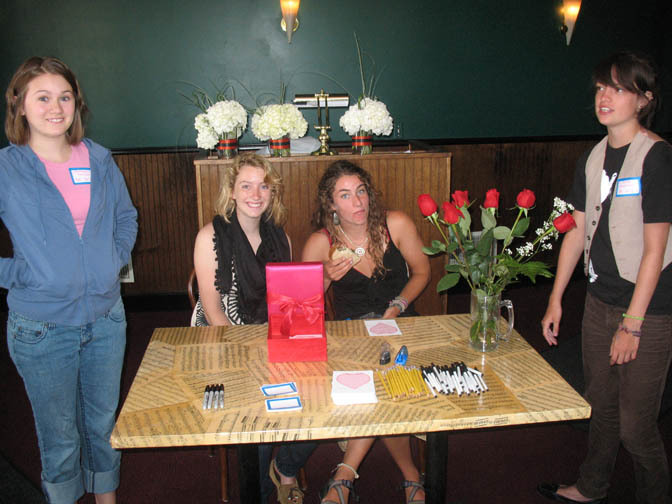 The Northfield Union of Youth/The Key is a nonprofit organization- for youth and by youth. All ideas for programs, projects and events are all generated by the youth. 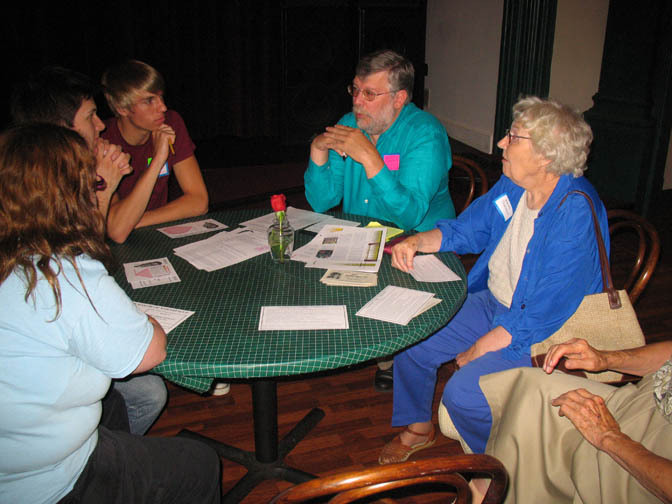 The mission of the Northfield Union of Youth is to provide power and voice to area youth and create a caring community. This is a unique organization where youth plan programs/events and govern, while caring adults involved in the organization listen and help guide. * Organization administration: responsible for overseeing the day-to-day operations of the Northfield Union of Youth and the organizationâ€™s youth center, the Key. * Program administration: assist staff and youth with existing and developing new after school programs; duties include recruiting volunteers, meeting with program leaders, and designing and tracking program budgets. * Tracking and reporting information on activities, finances, program progress and attendance to grantors and key staff. * Manage staff: train, schedule, delegate and monitor all staff and their responsibilities. * Assist youth in developing strategic plans and implementations according to youth board governance and mission of the organization. * Community liaison: develop and maintain relationships with new and existing community partners to develop positive, supportive and mutually beneficial connections and activities. * Experience with youth ages 12-19. * 2-3 years of relevant non-profit experience. * Excellent communication skills, able to speak and write well. * Highly organized, able to schedule appointments and manage office in chaotic atmosphere. Carleton Garage Sale: stressed how important it will be do help out with this collaborative fundraiser sale. This is a lot of work. Prep begins June 9th. New Board Recruits wanted!! Youth Board said they would recruit and work on a poster. June 3 are elections. GETTING THESE YOUTH INVOLVED. How? Hip Hop Night! Starting soon. Basketball hoop on back deck Parker?). Sports checkout (basketballs, soccer balls, football and flags, bikes, cones, bases, etc.). Thursday sports night (Nolan tackle w/ Rachel and Addy)? Could host giant meeting for non involved youth to see what they want from Key. Wednesday the 20th? 4:30pm back deck? Food? Also, Robbie is working on foosball. Fundraising – Spaghetti Supper and award ceremony. Bagging at Cub – Tim. Beg letter by June. EC. May 29 hip hop show. Youth and adults door to door. Programs – ART – Rachel and Audrey next year? 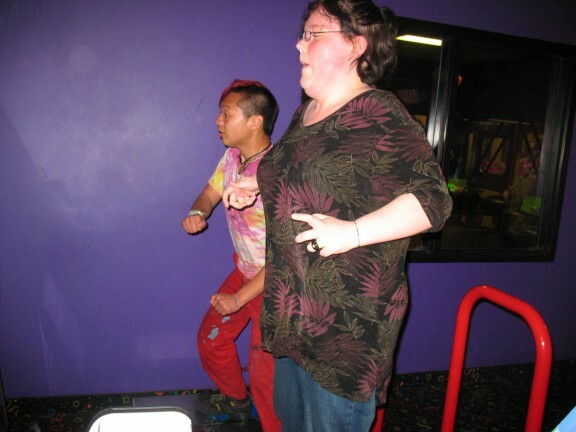 More guest instructors via colleges. Tie dye, boat race, practical things to teach, glass beads, may day stuff for DJJD. WW – ask Olivia to renew. Audrey, Maisie, Andi said they would do a review. Recruit. Movie – plain white sheet needed. Options may help. Key netflix account. College Prep – U of M, MKat, Gustavus, McNally, etc. More visits. 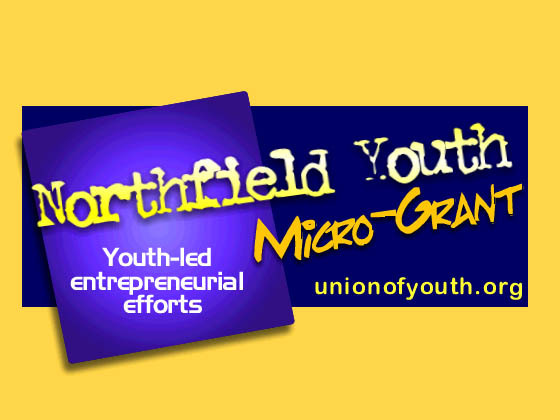 The Northfield News published a great story in Saturdayâ€™s (April 11) paper about the Youth Micro-Grant program that HCI funds and supports with the Northfield Union of Youth. If you missed it, check it out by clicking here. Applications are accepted on an ongoing basis for the Youth Micro-Grant program. Any young person interested in starting a small business is encouraged to apply! Click here for more information â€” to apply, complete and submit â€œApplication – Step 1â€³ on the right side of the page. If you have any questions, call Josh Hinnenkamp (507-663-0715 ) or HCI (507-664-3524). 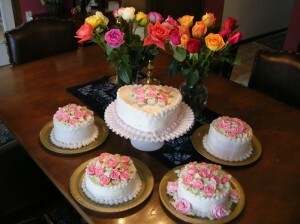 An example of a beautiful creation that came out of a recent Youth Micro-Grant! 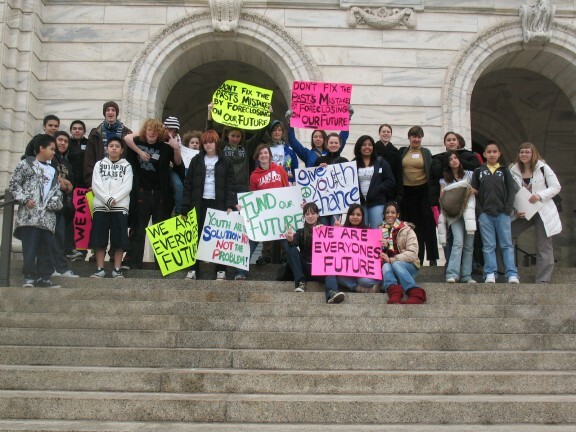 Members of the Northfield PRIMEtime Collaborative, which includes after school enrichment programs from the Northfield Middle School Youth Center, the high school, elementary schools, and The Key, attended the Rally for Minnesota Youth Day at the Capitol on Thursday March 5th. This was an all-day event created so that hundreds of participants from dozens of youth service organizations throughout MN could come together to rally behind common issues, including homelessness, mentoring, out-of-school time programming, workforce development, and youth intervention. Members of the PRIMEtime Collaborative took an early bus up to St. Paul and all members participated in a kick-off at the Kelly Inn, a march to the Capitol, meetings with State Senator Kevin Dahle and State House Representative David Bly, and a giant youth rally in the rotunda of the Capitol. Three members of the PRIMEtime Collaborative gave testimony to a committee debating a bill for after school funding. After the testimonies, the weary warriors for youth funding headed home to Northfield. The testimonies given by Northfield High School Assistant Principal Marnie Thompson, Northfield High School senior and NUY Youth Board President Ruth Amerman, and Middle School Youth Center participant and leader Champange Eiklenborg were powerful presentations given during deliberation of an upcoming early education bill (HF203) by the Early Childhood Finance and Policy Division Committee. A big shout out to The Key’s Ruth Amerman for her especially gut-wrenching testimony. 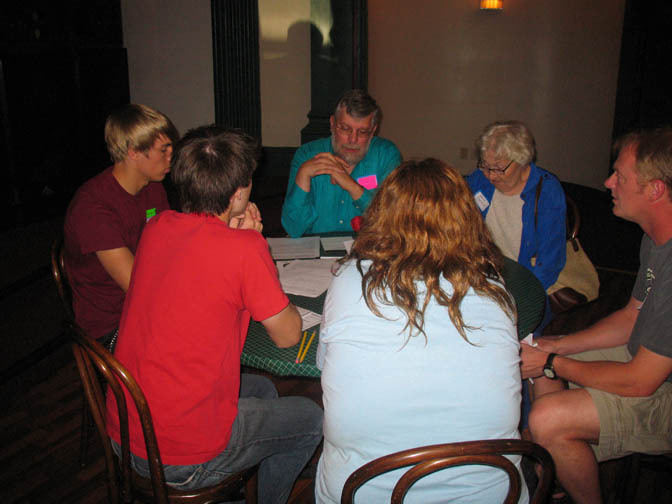 The PRIMEtime Collaborative was given an “After School Community Learning Programâ€ grant of $299,295.31 for a two-year period through the Minnesota Department of Education in the Fall of 2007. The Collaborative was at the Capitol to advocate for future funding of this kind. The Northfield Union of Youth (The Key) is also funded by, and advocated for future funding for, the Office of Justice “Youth Intervention Program.” YIPA (Minnesota Youth Intervention Programs Association), a youth advocacy group of which the NUY is a member, has a future bill (HF972 & SF741) that is trying to keep the Youth Intervention Program from having its funding cut. These bills should be heard in the Public Safety Finance/Budget Committees of both the House and Senate later this month. Assistant Director of Financial Aid, Kathy Ruby, will be at The Key on Wednesday the 11th of March from 6:30-8:30pm. She will go through all aspects of the financial aid process whether someone is going to a 2 or 4 year school, public or private. (This is NOT simply for students headed to a private liberal art college.) Questions from attendees are encouraged and expected. Parents are especially encouraged to attend. This is a wonderful opportunity, so do not let it pass you by. The Northfield Union of Youth and HCI are excited to announce that five local youth have been selected as the first cohort for the â€œNorthfield Youth Micro-Grant Program.â€ The youth range in age from 5th to 12th grade. The selected youth are now being paired with an adult mentor who has expertise in business development and their area of entrepreneurial interest. 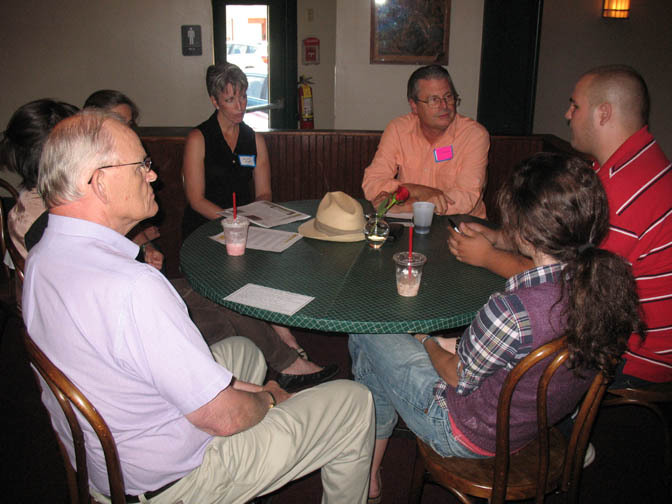 The pairs will work together to submit a business plan application, along with a funding request for up to $1,000. This will be reviewed by a panel of local adult business leaders and youth to determine the final grant amounts. Look for future updates on this exciting new initiative! If you know a young person with an entrepreneurial idea, encourage them to apply for the next round of micro-grants, which are due on April 15. Thank you Zach and HCI for the post! 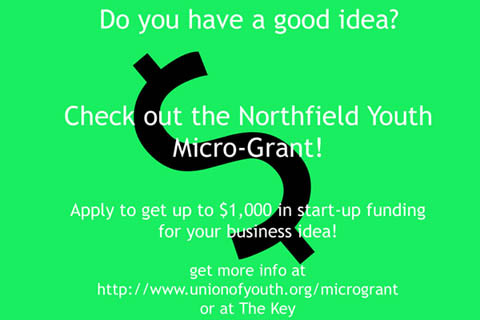 This fall Main Street Mentors is proud to kick off the Northfield Youth Micro-Grant Program. This program will provide funding to Northfield students under the age of 19 who would like to start their own businesses. The intention of the Youth Micro-Grant is to help young people learn valuable skills, interact with community mentors, and potentially form a profitable business. Northfield Healthy Community Initiative dedicated $5,500 to form this youth micro-grant program. No more than $1,000 will be granted to any one student/application. The first deadline for applications is November 1. If available funding remains or additional funding is secured, there will be a secondary deadline on January 15, as well as April 15. 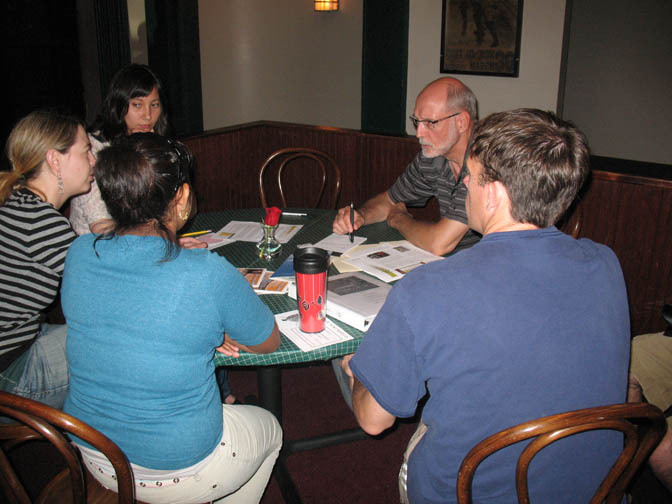 After each deadline a board made up of three adults and three youth will review the applications and distribute funding based on the merit of the project. Interested students will be asked to fill out an initial application, which requires little more than a basic business idea. After the initial application is received the student will be matched up with a mentor based on his or her project. After meeting with a mentor the student will complete a more detailed secondary application to be reviewed. If the student receives funding he or she will be invited to attend informative seminars that highlight important business skills or other relevant information. The review board will look highly on projects that will contribute something valuable to the Northfield Community and utilizes the great people in this town. Applications are available on this (The Key’s) website at unionofyouth.com (click on the microgrant heading). Any questions about this program can be directed to Josh Hinnenkamp at mainstreetmentors@gmail.com or Wade Hauser at hauser@stolaf.edu. We are more than happy to answer questions and help get programs off the ground. Applications can be handed in via email above or dropped off at The Key. The Northfield Union of Youth through much hard work and effort pulled off the Mayoral Speed Candidating event at The Grand from 2:00-4:30pm on Sunday August 10th. Youth from the community were in more abundance than adults at the event, although everyone was invited. 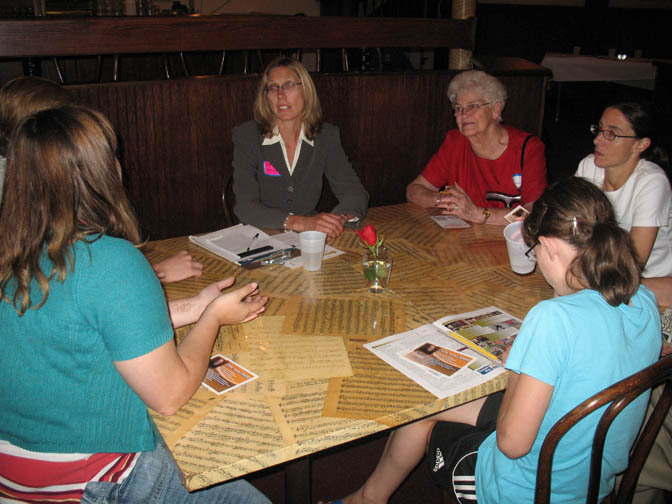 Candidates and “daters” talked about youth issues (Key building space, skatepark, drug rehab for youth, programming, etc. ), urban sprawl, future projects, the economy, and a slew of other topics. The forum was excellent for talking to candidates and getting a feel for their positions, and The Key would highly recommend this approach in future races with a large amount of candidates. Mayor Lee Lansing, Mary Rossing, Eduardo Rolle, David Hvistendahl, and James Schlichting showed up to the event and seemed to thoroughly enjoy themselves. Paul Hager had a prior commitment and Jon Dennison was too ill to attend. A big thanks to Amy Merritt for taking such a commitment to the event and of course to all the youth that organized, staffed, and attended the event. WOW! The Key also tabled their VOTE YOUTH platform and had a table for registering to vote and signing up to be an election judge. 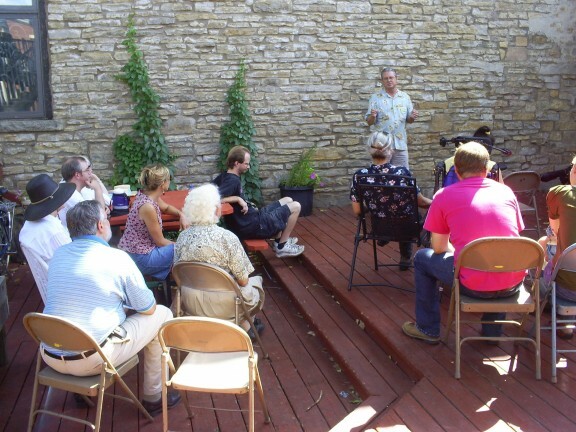 Adults (and youth) have another chance to show they care about their future mayor by attending one of the future Sunday mayoral open houses at The Key. 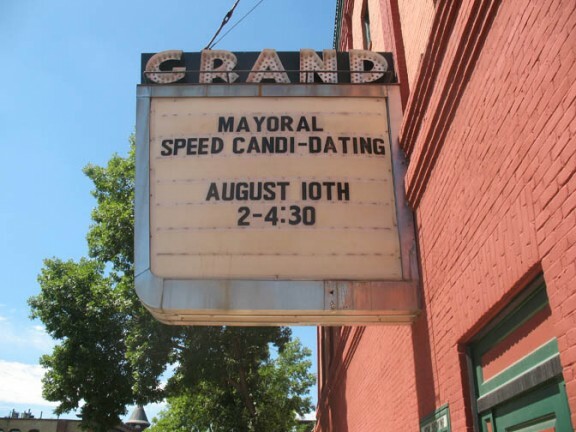 THIS SUNDAY the 17th at 3:00PM the KEY will be hosting a â€œmeet nâ€™ greetâ€ open house mayoral shindig with snacks, beverages, and the following candidates: Dave Hvistendahl, Mary Rossing, Eduardo Wolle, and (probably) Jon Denison. We will do it up again on the 24th (3:00pm) with Paul Hager, Lee Lansing, and James Schlichting. Just show up and listen to the candidates talk for 5-10 minutes and when the candidates are done you can go and talk to them one-on-one. Do you care about the environment, highway sprawl, future projects, the liquor store, energy sustainability, city taxes, youth issues, etc.? Well show up and ask/talk to them about your issues. Also – The Contented Cow will be hosting events as well on Thursday nights. Click here for information.